Thousands of farmers assembled at 30 meat plants around the country at 3pm this afternoon (Mon) in support of IFA’s 24-hour beef price protest. 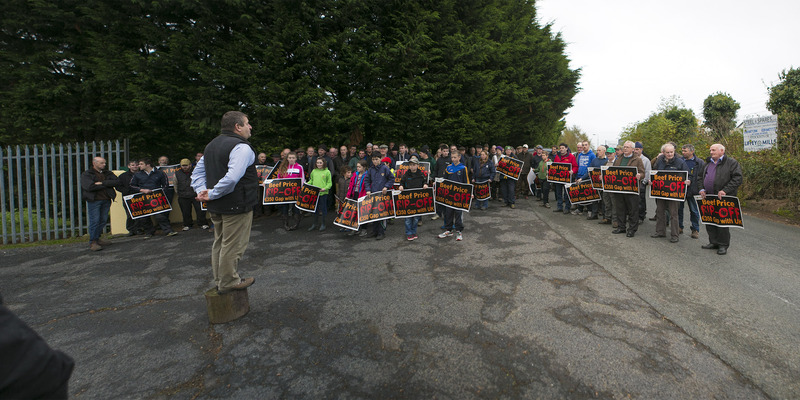 Over a hundred farmers from Wicklow attended the protest in Hacketstown. IFA President Eddie Downey said farmers are very angry over the massive €350 per head cattle price gap that has now opened up with our main export market in the UK. “Beef farmers have had a very tough year, and with our main markets now recovering strongly they are not prepared to tolerate loss-making prices any longer”. Eddie Downey said nobody can explain to farmers why our beef prices are €350 behind those paid to farmers in our main UK market. In the last number of weeks, prices in the UK have increased by over €100 without any increase in Irish prices. Irish prices are now below the EU average. This is very unfair and farmers are right to react with protests across the country. Eddie Downey said farmers are very determined that beef prices at the factories must rise to fairly reflect the very strong increase in UK cattle prices, where Irish beef sales are up 20% this year. Current prices in Britain for R grade steers are running at the equivalent of €4.74/kg incl vat, which is €1/kg higher than the €3.73/kg Irish price. He called on the meat factories to reflect the improved market situation in beef prices to Irish farmers without any further delay. 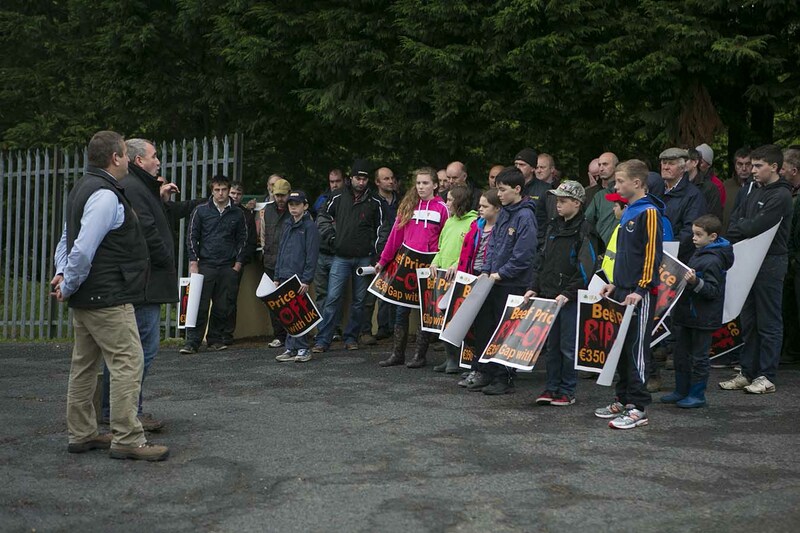 IFA National Livestock Chairman Henry Burns said livestock farmers are very angry with the failure of the Minister of Agriculture Simon Coveney to tackle the factories on the beef issues that have seriously damaged the sector and farm incomes since last January. He said farmers feel let down on the beef specification issues and the Minister’s failure to insist that the factories implement the Quality Payment System or price grid in a fair way in line with their agreement with suppliers. Henry Burns said IFA has repeatedly requested Minister Coveney to deal with a number of issues on beef including resolving the problems for the live trade to the North, the need for more competition and transparency in the trade and for increased monitoring and controls on carcase trim, weights and classification for farmers in the factories. The IFA Livestock leader said the most recent Teagasc National farm Income survey data shows that incomes on livestock farms are extremely low. Teagasc has confirmed that livestock farm incomes are down 13% to 22% last year, ranging from €9,469 to €15,595.